The Metropolitan Transportation Commission (MTC), the regional transportation planning agency for the Bay Area, has opened a new Oakland Clipper customer service center for commuters in the East Bay to now have a more convenient option to access to regional transit fare-payment system. Together with Oakland-based transit agency AC Transit, Clipper now has a third in-person customer service center located within AC Transit headquarters (1600 Franklin Street in Oakland). The new Clipper Customer Service Center is the first to open in the East Bay. 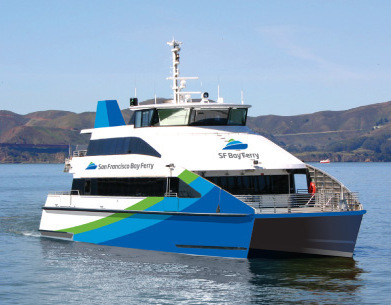 Prior to the opening of the new center, Clipper customers had to travel to one of Clipper’s two San Francisco customer service centers, located in the Embarcadero BART/Muni station and in the San Francisco Ferry Building, to get customer service in-person. Customers can now come to the new in-person customer service center in Oakland to acquire a new adult Clipper card, a new Senior Clipper card or regular (non-personalized) Youth Clipper card; each provided on the spot. In addition, customers can apply for an AC Transit personalized Youth Clipper card, required to purchase an AC Transit 31-Day Youth pass. They can also request a next-day replacement and balance restoration for a damaged, defective, lost, or stolen registered Clipper card at the AC Transit. Customers must still contact the Clipper Customer Service Center by phone or by visiting the Clipper website to request a refund, get a card unblocked, resolve billing disputes, or obtain a transaction history.